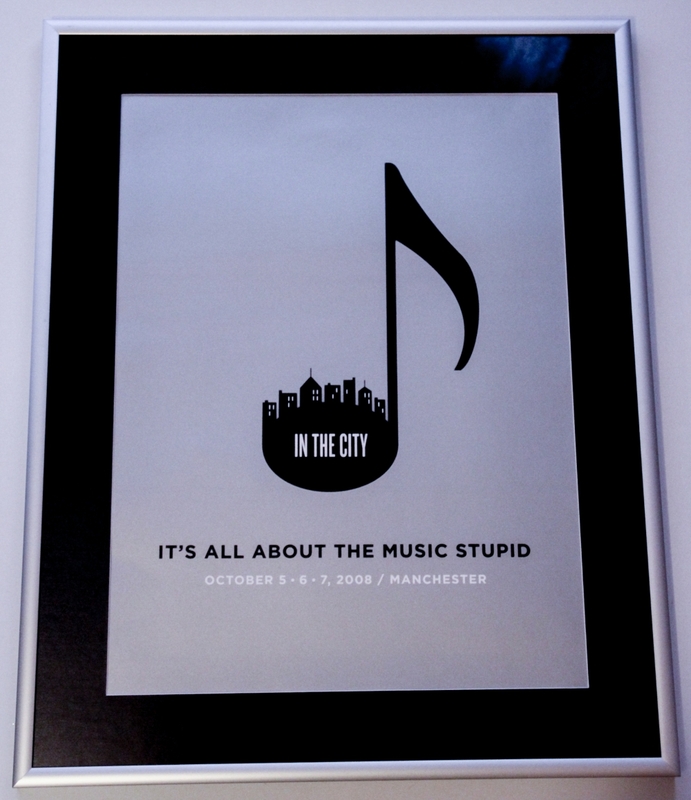 Poster for the In The City 2008 music conference held at The Midland Hotel, by the artist Jason Munn AKA Small Stakes. Munn designed a series of 7 different limited edition 9 inch by 12 inch posters for the 2008 conference but this design also came in a larger 18 inch by 24 inch print. We bought our large print some years later at The Richard Goodall Gallery, loving it for its clean design and clear message.